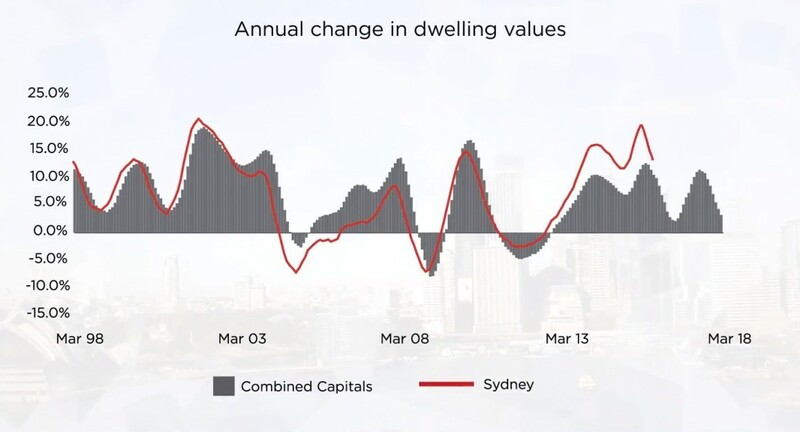 Although Sydney dwelling values slipped lower over the month, the rate of decline has noticeably eased in both February and March. Dwelling values were down by just 0.3% over the month, with the fall attributable to a 0.5% reduction in house values, while unit values actually saw a small increase, up bu 0.1%. The trend is clearly showing that unit markets are now outperforming detached housing markets. Over the past twelve months Sydney house values are down 3.8% while unit values are 1.9% higher. Unit demand across Sydney is likely becoming broader based, as buyers gravitate towards the lower price points and often more convenient location of apartments relative to transport, working nodes and amenity.